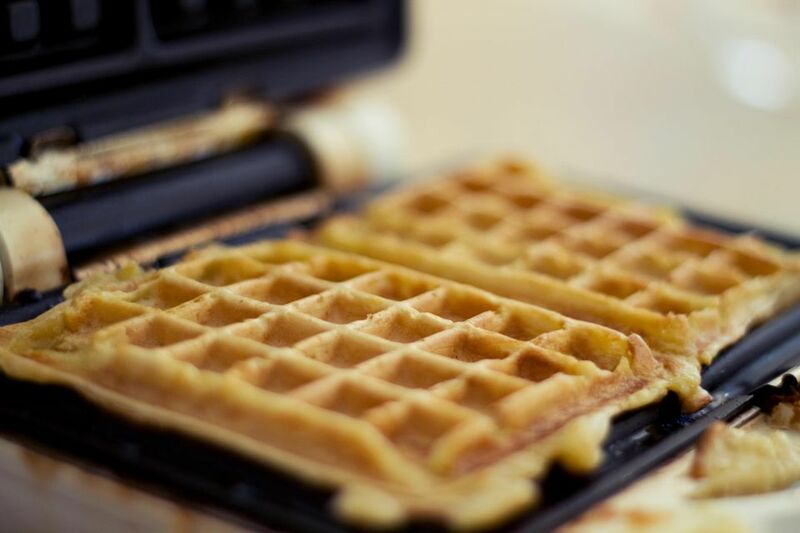 True Belgian waffles use yeast to get their signature airy interiors. Try this authentic version with whipped cream and strawberries or a simple dusting of powdered sugar. In a small bowl, dissolve the yeast in 1/4 cup warm milk. Beat the egg whites just until stiff peaks form. In a large bowl, mix together the egg yolks, 1/4 cup of the remaining milk, the melted butter and the sugar. Add the yeast mixture, salt, vanilla, and then alternate between the flour and remaining milk. Gently fold the egg whites into the waffle batter. Cover the batter without touching it, and then set it in a warm place to rise until it doubles in volume, about 1 hour. Cook in a waffle iron according to manufacturer’s instructions.